There is only one customer. Customer clarity is essential. Customer Clarity...Exactly who is your Customer? Ask 10 random people in your organization “Who is our customer?” How many different answers would you get? Ideally, the answer is the same. There is only one customer. Your strategy, resources and goals and objectives must be aligned around a singularly defined customer. Lack of customer clarity creates organizational challenges that extend far beyond customer service. A lack of clarity and alignment about the customer leads to confusion and uncertainty about critical organizational priorities. A consistent definition of customer, can break down silos, unlock lost productivity and empower your people. Research consistently proves the organizational impact benefits of a high performing culture on measures such as sales growth, market share, ROI, net income, customer satisfaction, innovation, etc. If you need more convincing you can find plenty of information on Culture University to make the case. Repeatedly I’ve worked with organizations who get results from their organizational culture assessment and wonder why customer focus is low. Multiple definitions of the customer is usually the culprit. After digging deeper we find customer confusion to be a source of incredible chaos in the organization manifesting in cultural challenges in critical and important areas. If you’re a senior leader in an organization and reading this post thinking that your organization may have this issue, it is time to look at your own leadership team. Getting consensus about a single definition about who your customer is can be a very powerful driver of high performance, but very difficult to achieve. You will have to contend with identifying who is not your customer, just as much as you will have to define who your customer is. Once the senior leadership team is aligned on the customer definition then it will be critical to define how each of the units led by the senior leadership team fits into the value chain of the customer. Silos (Coordination & Agreement) – Different customers have different needs. What we experience when an organization allows multiple customer definitions is competition for resources. The competition for resources creates conflict and lost cooperation towards aligned goals, thereby creating silos in the organization and a lost opportunity for maximizing value. Taking this a step further, it’s frustrating for employees when they can’t get what they need to get the job done. Values Alignment – Multiple customer definitions can result in competing goals and objectives across organizational boundaries. The customer is a driving force in an organization and when that force is applied against competing goals and objectives across a leadership team or across organizational boundaries, conflict will inevitably be played out in visible ways. I’m sure you have seen inappropriate arguments, passive aggressive behavior, and I win/you lose scenarios at some point in your career. Assuming your organization has values contrary to these behaviors, when employees experience them they are likely to lose faith in stated values. Trust Decline – Value erosion creates enormous negative impact to culture. When stated values are not operating trust goes down in an organization. What you see on the walls must match what you see in the halls. Lower Engagement – Lack of clarity and alignment about who the customer is creates confusion about goals, priorities, values and trust in the organization. This ultimately stifles engagement and productivity. When multiple customer definitions exist the challenges described above create an environment where behaviors and practices in the organization decrease pride and enthusiasm for the organization. Further, employees become more cautious in their decision making due to uncertainty about their ability to make the right impact and the consequences if a mistake is made. Change Resistance – When trust goes down, resistance to change goes up and change grinds to a painfully slow pace. I have witnessed many situations where customer confusion has caused resistance to change. In one such case, it was believed by senior management that the sales organization was resistant to a strategic change which upon a closer look we found was not the case. Actually, the employees where not resistant to the new strategy, but where challenging the implementation of it for good reason. Because they did not have clarity about who the customer was, the strategy implementation did not make sense to the impacted employees. These employees where pushing for a focus on a group of stakeholders that were not the ultimate customer. Define and get Buy In about the definition of the customer – Who is it? Define it at the leadership level in the context of your strategy. Your customer is the person or entity that receives and in turn pays for the value that your organization provides. You cannot exist without a return of value. It may sound simple, but there are so many variations on who is getting the value and who is making the payment that you need to make sure everyone buys into the definition. Create a vocabulary to define the other roles – Who is not the customer? These may be people who are very important to the organization, but they are not the customer. So how do you define them? Are they internal business partners, vendors, channel partners or influencers? Define them so that they can be appropriately served and focused on by your organization. Don’t fall into the trap of using the term internal customers. Internal customers are business partners. You want your internal partners to be thinking of the ultimate customer when they are helping you to do the job of serving the ultimate customer. Everyone needs to be thinking this way. Map the “Value Chain” to the customer – The Value Chain. Once you know who that singular customer is, each person at the leadership level needs to be able to explain how their business function, business units or departments deliver value to the customer. It also necessary to identify how the other non-customer roles map to the value chain. Communicate, Align and Communicate – Once you have the customer defined and identified the value chain in the context of customer, you may need to consider how your organization is set up to service customer. Do you need to make organizational changes? Take a look at the individual goals you have set up for the people in the value chain for alignment with delivering maximum value to the customer. Take the time to thoughtfully and thoroughly explain the definition of the customer to the entire organization. Use the work you did to map the value chain as a tool to create alignment across organizational units to better service their business partners in ultimately delivering value to the customers. Customer definition is key organizational culture performance driver. Watch and see the alignment that results in your organization when you create alignment about goals, priorities, products and services for a singular customer definition. What about you…what issues have you experienced as a result of a fuzzy customer definition? What did you learn in establishing clarity? Please share your experience on social media. I am a results partner who can help you lead your organization through new challenges, strengthen the people around you to perform at their best, and confidently confront disruptive change head on. 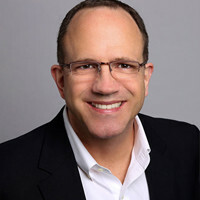 As CEO of Brighton Leadership Group, I have had the privilege of advising executives, leadership teams and boards of large, mid-market and emerging organizations throughout the world. 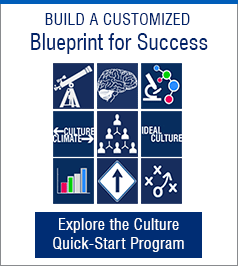 I share some of my culture and transformational change experiences in the 2014 book - Build the Culture Advantage, Deliver Sustainable Performance with Clarity and Speed, and as a founding faculty member of Culture University.